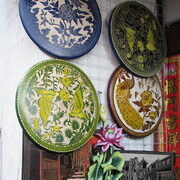 Lijiang has a long history. 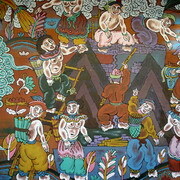 It is the ancient seat of Dongba Culture. 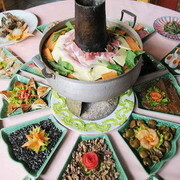 The city’s ethnic Naxi people still live that culture. 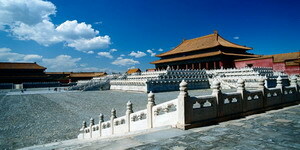 The city’s history dates back to period of the Warring States (475-221 B.C.) in China. The Old Town of Lijiang, located in the Lijiang Autonomous County of the Naxi Ethnic Minority, Southwest China’s Yunnan province, is one of the last surviving ancient towns in China. The Lijiang Old Town is built along the lie of mountains and the flow of rivers, providing a very precious sample of the research on the old-time architecture. 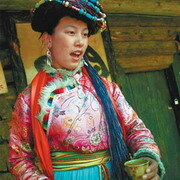 Mosuo is not called "Women's World" for nothing - it is, after all, the only surviving matrilineal community in China. Zhou Lin (1902-1977), styled Weicang, Naxi nationality, is a well-known calligrapher, musician and poet in China.